The Sonoma County Airport offers its passengers to stay in the hotels located on the territory of the airport or in the closest access to it. All prices are indicated for September 2018. 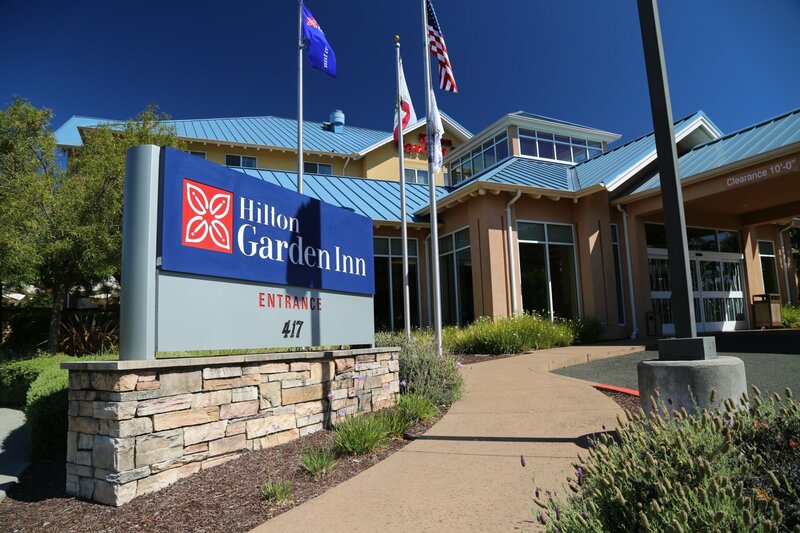 Hilton Garden Inn Sonoma County Airport located at 417 Aviation Blvd, Santa Rosa, CA 95403-1069 in 2.6 kilometers away from the airport offers airport transportation from and to the airport, restaurant, free parking, free high-speed Wi-Fi, pool, gym/ fitness center, bar/ lounge, room service, business center with internet access, laundry service, banquet room, wheelchair access for disabled customers etc. Rooms are provided with the air conditioning, microwave, telephone, flat-screen TV, security deposit box, and refrigerator; interconnected rooms are available as well. Hiking trails and the vineyards are located in the remote access to the hotel. The fee per a one-night stay is $217.55, the breakfast is not included in the price and may be purchased for $12.50. 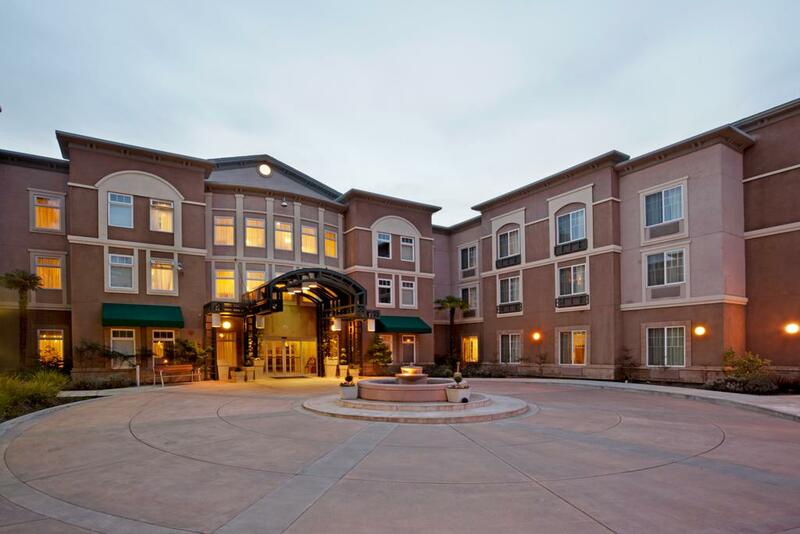 Holiday Inn Windsor - Wine Country located at 8755 Old Redwood Hwy, Windsor, CA 95492-9233 in just 4.2 kilometers away from the airport, offers room service, pool, free parking, restaurant, bar/ lounge area, pets are allowed on the territory of the airport as well. Rooms are provided with the pay-per-view channels, air conditioning, private bathroom, safety deposit box, ironing facilities, room service, wardrobe/ closet, wake-up service, coffee machine, etc. Tisza Bistro, an outside restaurant, offers delicious dishes and drinks for the visitors and guests. The fee per a one-night stay is $199; the breakfast is already included in the price for the room. Holiday Inn Express Windsor - Sonoma County located at 8865 Conde Ln, Windsor, CA 95492-8912 in just 4.8 kilometers away from the airport, offers flat-screen TV, air conditioning, free Wi-Fi, refrigerator, ironing facilities, private bathrooms, satellite channels, coffee machine, wake-up service, telephone, hairdryer in its rooms. 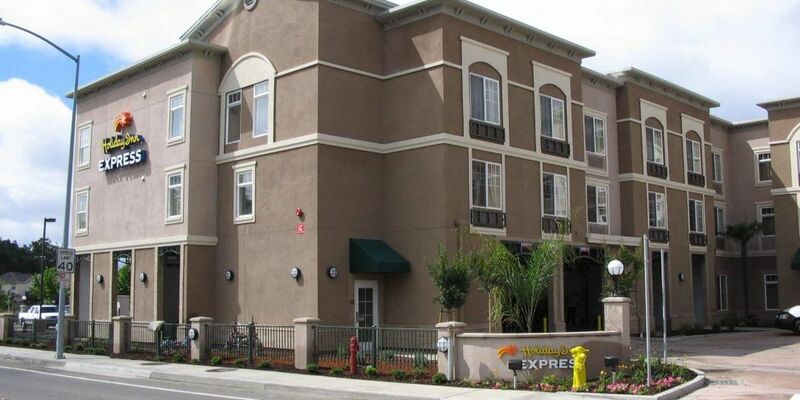 The hotel provides a business center and gym services as well. It is located in just a 20-minute drive away from the Shiloh Ranch Regional Park and in 8.4 kilometers away from the Wells Fargo Center for the Arts. The fee per a one-night stay is $189.05; the breakfast is already included in the price for the room. 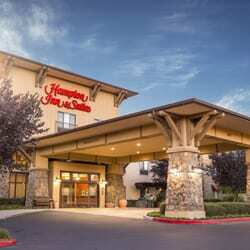 Hampton Inn & Suites Windsor - Sonoma Wine Country located at 8937 Brooks Road South, Windsor, CA 95492, USA in just 4.4 kilometers away from the airport, offers family rooms, air conditioning, telephone, flat-screen TV, microwaves, refrigerators, iPod dock, bath and shower, free Wi-Fi, ironing facilities, complimentary toiletries, cable channels etc. It is in just 4.2 kilometers away from the Windsor Golf Club and in only 4.8 kilometers away from the Windsor Oaks Vineyard and Winery. The fee per a one-night stay is $175.12; the breakfast is already included in the price for the room. 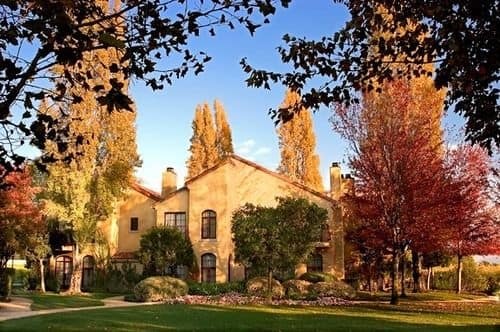 Vintners Inn located on a vineyard trail at 4350 Barnes Rd, Santa Rosa, CA 95403-1514 in just 4.8 kilometers away from the airport offers 24/7 rooms service including nightly turn-down services, flat-screen TV, Wi-Fi, balcony with the view, air conditioning, refrigerator, safety deposit box, etc. John Ash & Co offers dished cooked from the locally-produced ingredients. The Front Room bar is ready to provide the guests of the hotel with delicious drinks and cocktails. The hotel is located in just 4.2 kilometers away from the Wikiup Golf Course and 5.5 kilometers away from the Charles M Schulz Museum.